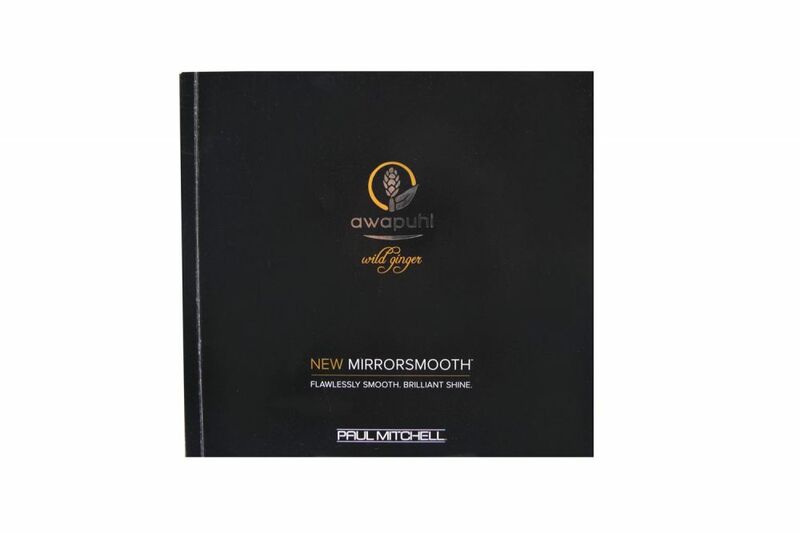 The new MirrorSmooth Collection from Paul Mitchell Systems boasted new benefits that utilized a new breakthrough technology, KeraReflect. With plenty of salon grade products available in the market, the Paul Mitchell team needed an effective way to "breakthrough" to media outlets and industry influencers. 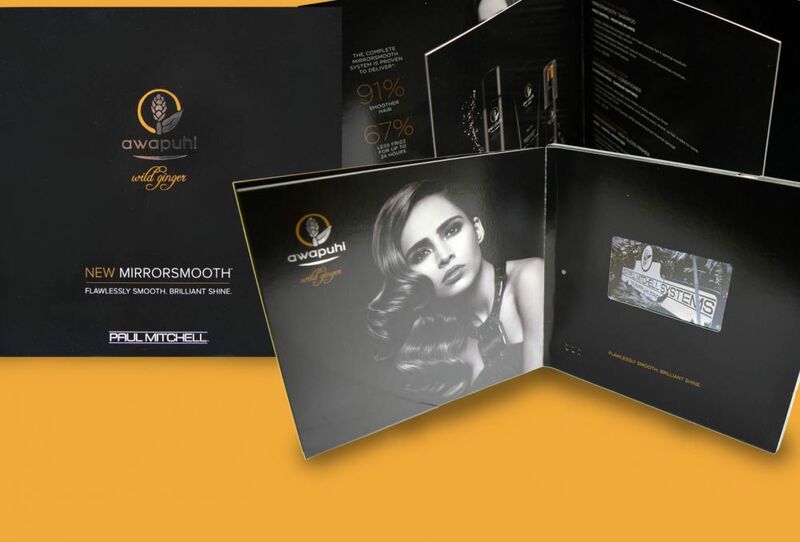 In order to tell the story behind their new product line, Paul Mitchell teamed up with Americhip to produce a sleek video brochure that elevated the Paul Mitchell brand while also delivering important product info that was sure to dazzle and impress its audience. 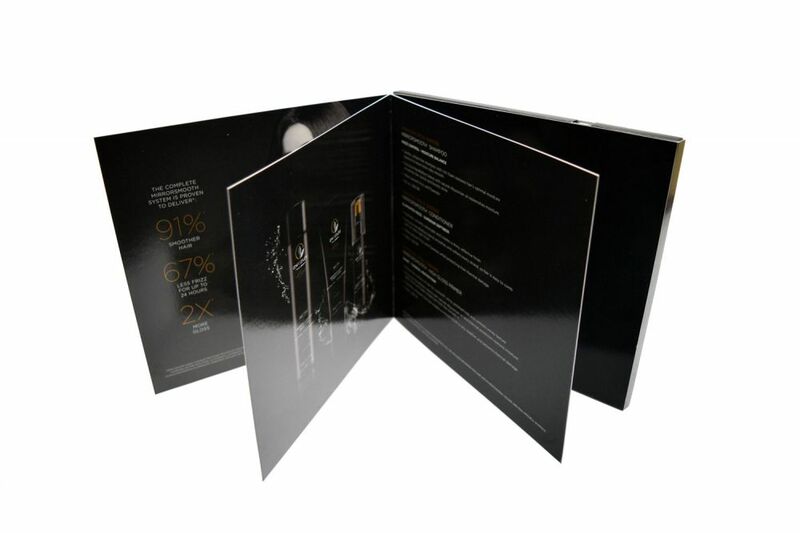 The video brochure has 5 pages of content showcasing each of the new products along with detailed product info highlighting the new KeraReflect technology. 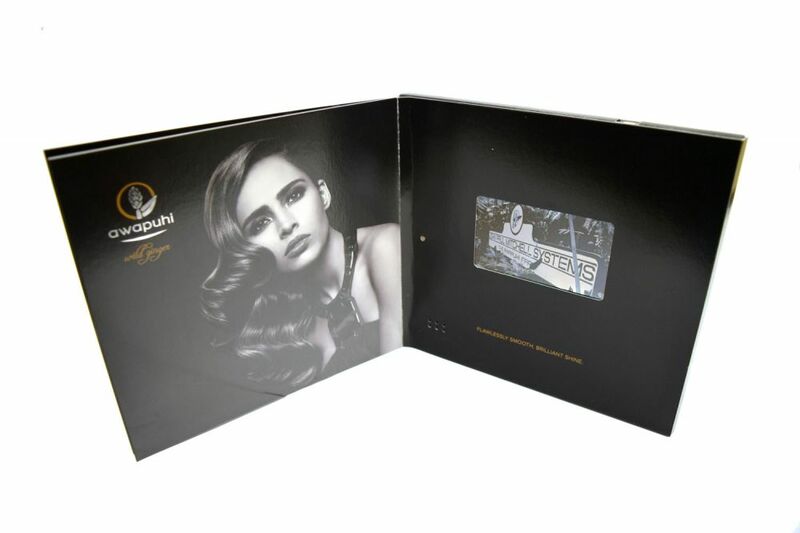 The video brochure ends with a 4.3" LCD screen which automatically plays a video telling the early story behind the Paul Mitchell brand leading up to the present day. Video was a great way to communicate their message and culture of always innovating with new technology. Now with Americhip's patented Video in Print technology, Paul Mitchell was able to tell their story, promote their new product, boost their brand, and breakthrough to its target audience.